Everyone's rating [Performance] ControlandSwing are excellent. Kurorin	（Experience：６〜１０ years）	The habit is wonderful. As Matsumoto 's use racquet, it is one that I often see in municipal competitions in women' s dub. Pink metallic coloring shines on the white base. However, as an impression that I borrowed and hit, it is quite "top-heavy" racquet that the shaft is considerably soft with considerable top heaviness. When Mr. Matsutomi imagines a brilliant avant-garde and shakes in front, there is a firm response and it is necessary to be firmly conscious of raising the racket by returning it because the head is heavy above all. It was 5 U but it was not possible to feel like a racket with good honest maneuverability. When I smashed, the head ran and it was a feeling "Oh! ", But for many minutes the shaft is so soft that I think that if it is not a power hitter it can be used. Because the frame is solid, the control is rather a good category, you can hit a strong push sunk if you can hit it firmly in front. If you have a consciousness to make head use, clear clearance of escape which is emergency evacuation is made to fly firmly. As expected, there was only one medalist 's choice, I felt like a racket of "female middle - advanced for women who can steadily swing" understanding the head heavy, contrary to lovely painting. Fears has loved it so much that it will almost stop using other rackets after purchasing 8000 J, but this is also very easy to handle. 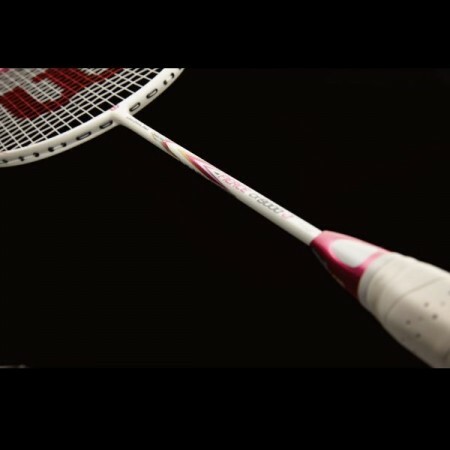 Even though the racket itself is light, even with head heavy it can smash firmly even with smash. Smash Receive and Clear are also very easy to hit and counters for Smash can also be submerged as intended by making fine control at their own level. I think that it would be easy for men to use it unless you are concerned about thin grips. For me it is one that became a factor that bothed further into badminton and I want to keep using it for a long time. Ten-chan	（Experience：６〜１０ years）	It is a racket that you can play a notch. 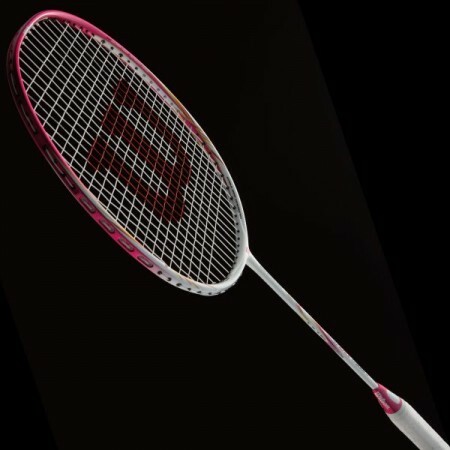 It is a racket which is balanced as a whole, the more favorite favorite Saki Matsumi of the professional player also. 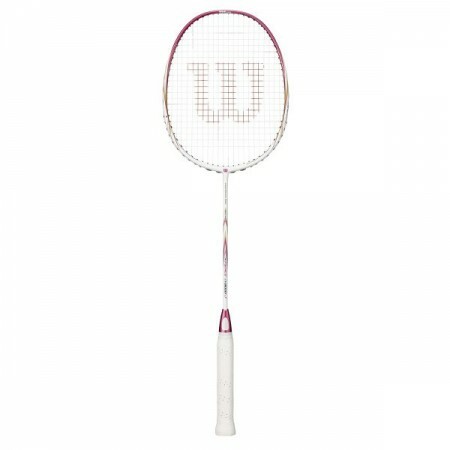 It is a racket that can realize the quality of "upgrading upwards" in all aspects, such as swing-out and handling. Indeed, I think that it is not an exaggeration to say "racket for level up". The balance of the whole racket is good, and it is easy to control. The swing-out is also light, easy to ride head speed, it will be a quick hit ball. It mainly doubles, but it is easier to control at the top and back, is easy to handle, easy to handle, easy to handle racket. The frame is also durable and scratches are difficult to attach. The best feature is the high control performance. The hardness of the shaft will be for those who are soft and not powerful. Although it is light, the head is somewhat heavier and there is a tightness, so power can be fully demonstrated. Sweet spot is not wide, so it may take time to master it to a certain extent. First of all, I had excellent controllability and the shaft was so soft that I felt it was suitable for men without power like me. There is an advantage that it is easy to drop Rob in the back of the coat. Although it weighs 5 U, I felt it was just good weight as it is a top heavy creation. Because the sweet spot felt slightly narrow, you will have time to get used to. Pocky	（Experience：６〜１０ years）	I like it because it is easy to use. I wanted a nice racket, so when I looked it up on the net, I purchased this racket because it was recommended. I am glad that I bought it because the design is good and I can hit a good shot. It is recommended racket to recommend to friends.